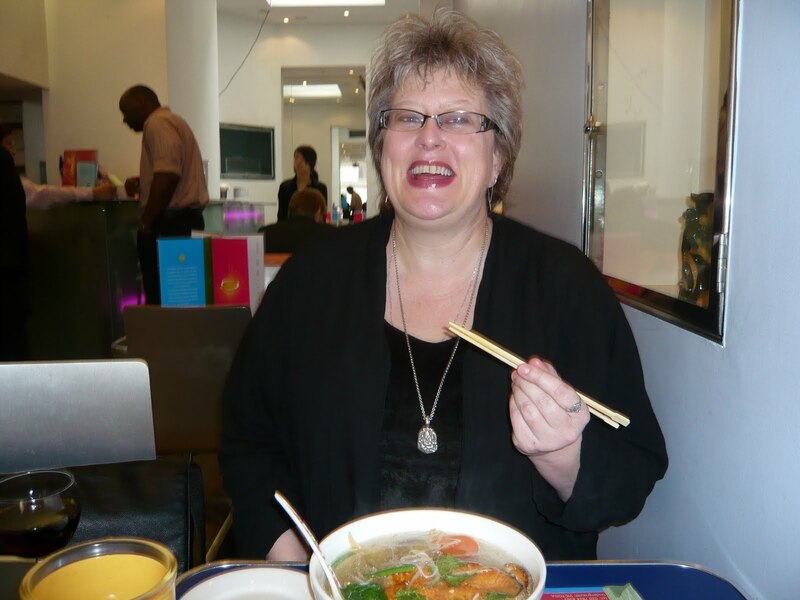 The wonderful Adele over at the fabulous book review (and more) blog, UnBound has interviewed me and wormed many secrets out of me 🙂 and that’s me laughing at the noodle restaurant the week before. It was such a pleasure getting to know in real life someone I had got to know over the ‘net. I love the internet! So many friends and opportunities I would not have had but for it. Yesterday I dawdled along the Thames near Millbank mudlarking. There was the usual assortment of glass and pottery shards, but I also found odd things like the front part of a telelvision set (no screen of course), a camera, a set of rusty keys with a Galapagos diving fob, which amused me (surviving all that diving and then losing your keys in the river? Then again maybe it was all a pose anyway). I went to the Tate Britain afterward. I’m still amazed at how much I love the new Turner section, mostly for his unfinished paintings which seem like precursors of the Impressionists. There’s a new room of early Bacon works that include a painted screen and three rugs (!) from his interior design business in the 30s. And my latest column is up, too, at BitchBuzz: a mad mash-up of the Stoppard matineé, the guy behind me on the bus, random musings about the Middle Ages and the usual weird stuff in my head. Enjoy!